According to a new report North America Cloud Migration Services Market, published by KBV research, the North America Cloud Migration Services Market Size would witness market growth of 20.5% CAGR during the forecast period (2017-2023). 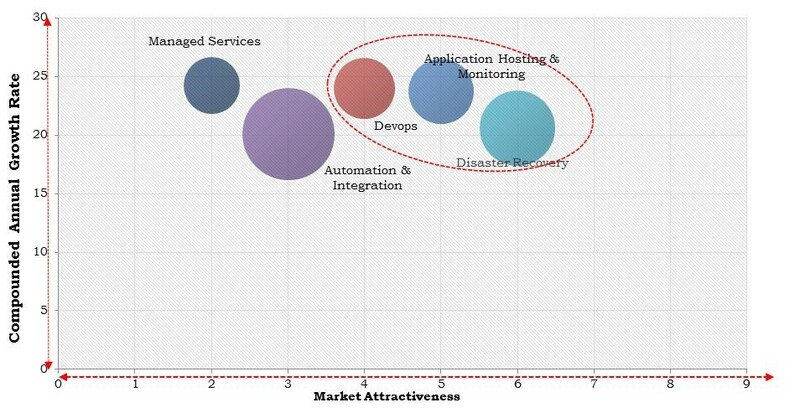 The Automation & Integration market holds the largest market share in North America Cloud Migration Services Market by Service Type in 2016, and would continue to be a dominant market till 2023. The Application Hosting & Monitoring market is expected to witness a CAGR of 22.2% during (2017 - 2023). Additionally, The Managed Services market is expected to witness a CAGR of 22.7% during (2017 - 2023). The US market holds the largest market share in North America Project Management Cloud Migration Services Market by Country in 2016, and would continue to be a dominant market till 2023; growing at a CAGR of 18.3 % during the forecast period. The Canada market is expected to witness a CAGR of 23.9% during (2017 - 2023) in North America Infrastructure Management Cloud Migration Services Market. Additionally, The Mexico market is expected to witness a CAGR of 23.2% during (2017 - 2023) in North America Security & Compliance Management Cloud Migration Services Market. The Public Cloud market holds the largest market share in Mexico Cloud Migration Services Market by Deployment Type in 2016, and would continue to be a dominant market till 2023; growing at a CAGR of 21.1% during the forecast period. The Private & Hybrid Cloud market would attain market value of $123.0 million by 2023. The market research report has exhaustive quantitative insights providing a clear picture of the market potential in various segments across the countries in the region. The key impacting factors of the North America Cloud Migration Services Market have been discussed in the report with the competition analysis and elaborated company profiles of IBM Corporation, Microsoft Corporation, Google, Inc., Cisco Systems, Inc., NTT Data Corporation, VMware, Inc., Informatica, Rackspace, Amazon.com, Inc. (Amazon Web Services), and DXC Technology.